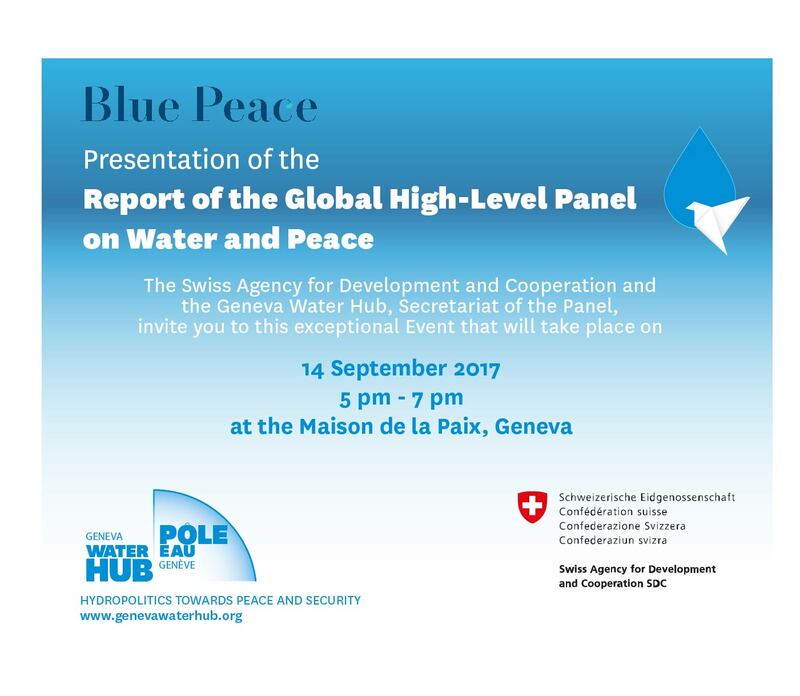 The Geneva Water Hub, Secretariat of the Global High-Level Panel on Water and Peace, is pleased to invite you to the Presentation of the Panel’s Report that will take place on Thursday, 14 September 2017 from 17:00 to 19:00 at the Maison de la Paix (Geneva). The invitation for this event is addressed by the Governments of Costa Rica, Senegal, Slovenia and Switzerland. For more information visit the website or contact mnunez@genevawaterhub.org.